Satellites are launched to overcome the various limitations we have here on Earth. You are aware that to see a large area/long distance we need to go up a tall building or a tower. Most satellites are launched into space using rockets as the carrier vehicles; satellites themselves have no engines. Once launched in space, they continue to orbit the Earth without the need for any power. 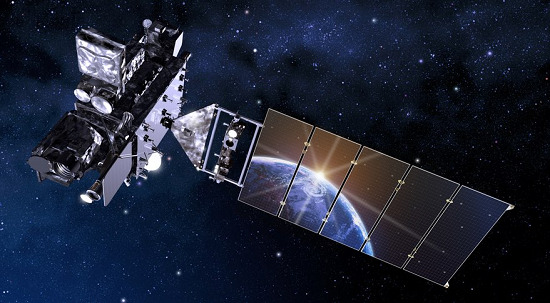 A satellite goes into orbit when its speed is balanced by the pull of Earth's gravity. It is being pulled by Earth’s gravity, at the same time it is moving horizontally at a certain speed. A satellite's speed varies according to its altitude. The higher it is, the slower is the speed. A geostationary satellite travels from west to east over the equator at an altitude of 36,000 kilometers. It moves at a speed of a little over 11,000 km per hour in the same direction the Earth is rotating on its axis. Polar-orbiting satellites travel in a north-south-north direction from pole to pole. As Earth spins underneath, these satellites can scan the entire globe, one strip at a time.